I've been a fan of Chelsea King's nail art ever since I first found her Instagram account: she's incredibly creative and can take inspiration from anything. And she makes short nails look so chic instead of sad and stubbly! 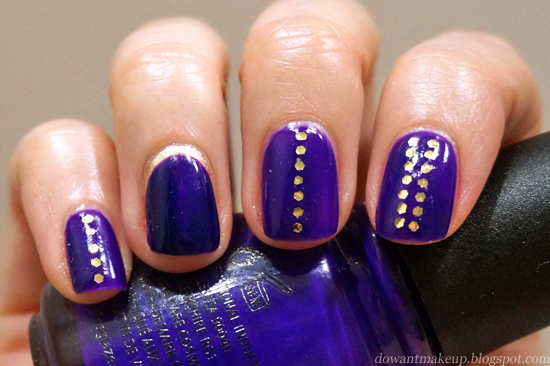 She does some very cool glitter placement nail art (see here and here) that inspired me to try some of my own. 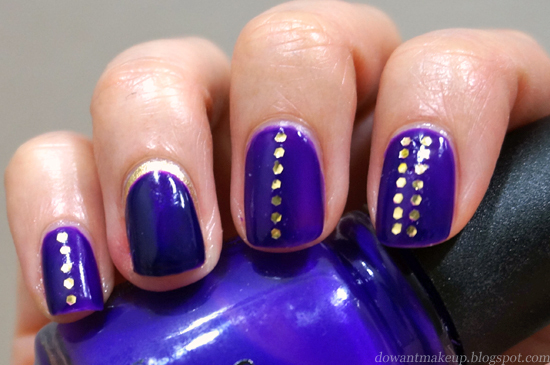 I must have been in an experimenting mood, because I decided to try a gold-purple Ruffian on my ring finger as well! It turned out pretty well, I think. A friend gifted me China Glaze Creative Fantasy from the Cirque du Soleil Worlds Away collection (after seeing the lack of purples in my swatch collection post, I suspect.) It's a grape purple jelly that dries to a curiously rubber-look finish, which I topped with a glossy layer of Seche Vite. 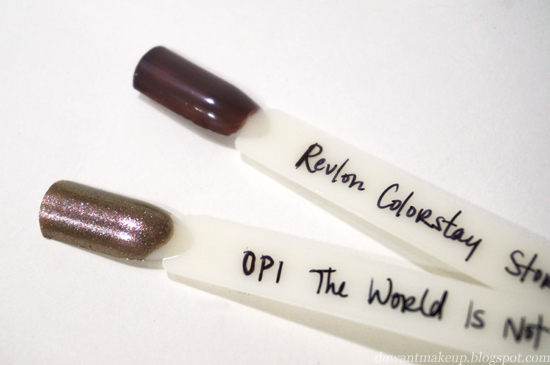 Because it's a jelly, it still won't be properly opaque even with three coats. The purple is noticeably deeper on the ring finger because I used a layer of one-coater wonder Orly Luxe underneath the purple for the Ruffian nail. Overall, I found Creative Fantasy a bit difficult to work with and uneven (note the patchy spot on middle finger), so it's not one of my favourites. It's my first time doing handwritten nail art and the results came out well, I think! I went over it a few times with the white liquid acrylic before cleaning up the edges of the letters with more Jealous, Much? and sealing it with Seche Vite. Jealous, Much? 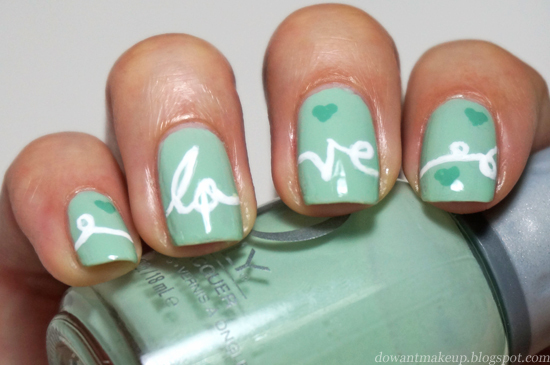 is a milky pastel mint that goes on a bit sheer; even with three coats, there is visible nail line on the ring finger. And like most pastels, it is a bit tricky to apply: my first two coats were kinda patchy and the third coat smoothed most of it out. Despite this, I do love the polish and I feel like there's something that is just so pretty and elegant about it. 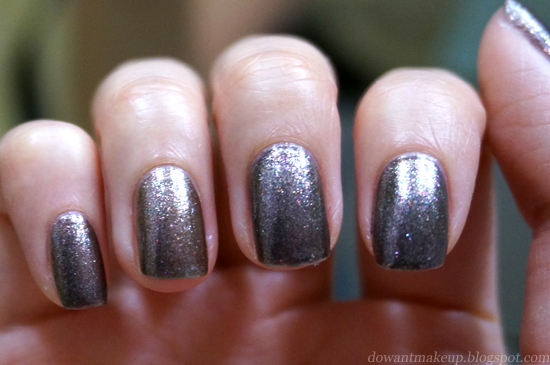 I would totally wear this polish to afternoon tea with my lace shift dress and sip my Earl Grey with my pinky out. 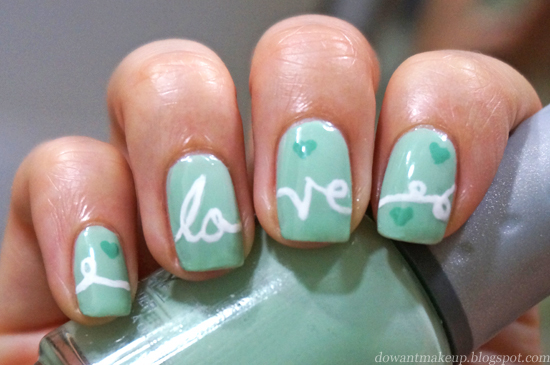 What nail polish shade would you write "love" all over? 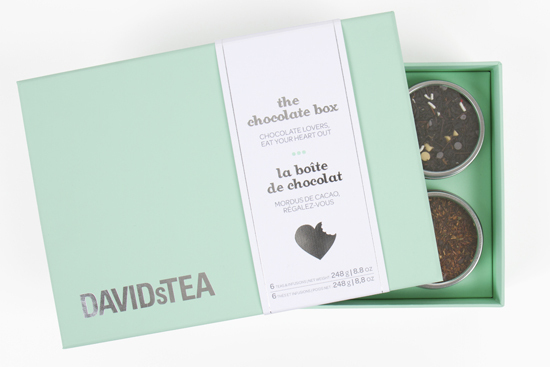 You can buy a box of chocolate anywhere, but where else can you get a box of chocolate tea but from DavidsTea? I'm a big fan of DavidsTea, so I was super excited to find out they had rolled out Valentine's Day sets. The Chocolate Box includes Chocolate Orange, Chocolate Rocket, Love Tea #7, Mint Chocolate Rooibos, Read My Lips, and Red Velvet Cake, in weights varying from 36g-49g, totaling 248g. On weight alone, the set is a better value than buying the teas separately (by about $3, yes I did the math for you already) plus you get them in tea tins packaged in a cute mint green box ($29.50). 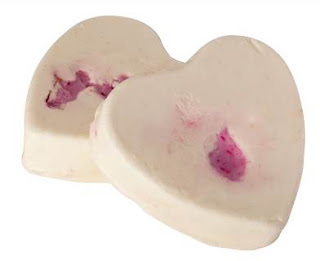 There is also a smaller version with Mint Chocolate Rooibos, Chocolate Orange, and Red Velvet Cake ($16.50). 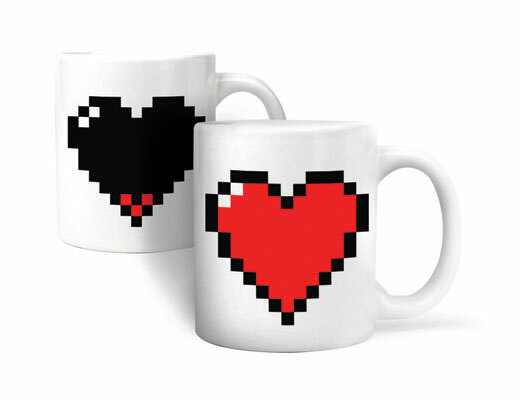 What better to go with your chocolate tea than an awesome pixel heart mug? Kikkerland's Morph Heart Mug is low on love when empty/cold and becomes happy and full when hot liquid is added (exactly how I feel about DavidsTea Kiwi's Big Adventure, btw.) Bf and I picked up matching mugs recently and yes, it does work perfectly but the heart is not as bright red as the picture suggests. I think it's due to the heat-sensitive material stuck on the mug that is normally black and turns clear(ish) to show the red heart painted underneath. It's also not microwave or dishwasher-safe but a very cool gift for anyone--including yourself!--that misses 8-bit RPGs. Vancouverites, we found this mug at Kitchen Goodies in Metrotown. 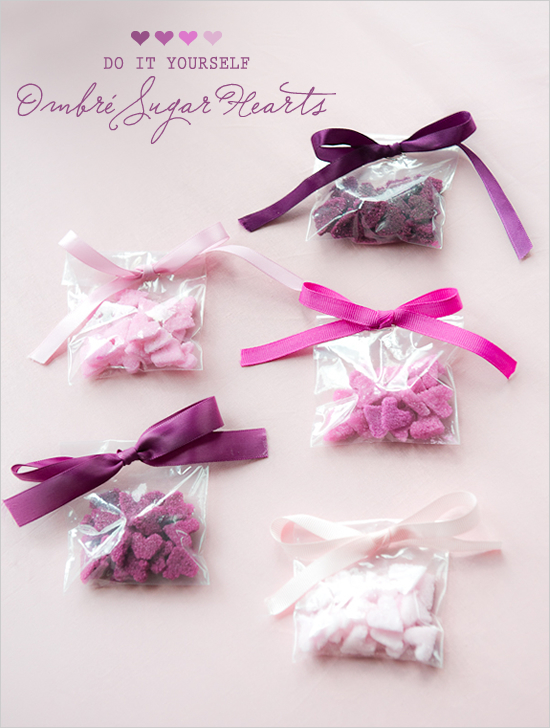 For anybody DIY-ing their Valentine's Day this year, I absolutely love this simple how-to for making sugar hearts. These would be precious pressed on top of cupcakes--scroll all the way to the bottom to see the gorgeous ombre heart cake. I ordered my very first Zoya polishes during the recent "3 Free Polishes" promotion (although I did have to ship it to US) and I'm super excited to wear them. Despite having to ship it to the US, getting three Zoyas (worth $24 USD/$26 CAD) for free with only $10 shipping was too good for me to resist. Even though lately I've been wearing very fresh, Spring-y colours, I realized my order had a mostly Fall vibe. Ciara is a deep berry-purple that I later realized is extremely close to L'Oreal Colour Riche's Violet Vixen (oops); Evvie is a deep, smoky grey tinged with green; Frida looks dark in the bottle but is a bright teal jelly that I've loved for a long time from afar. 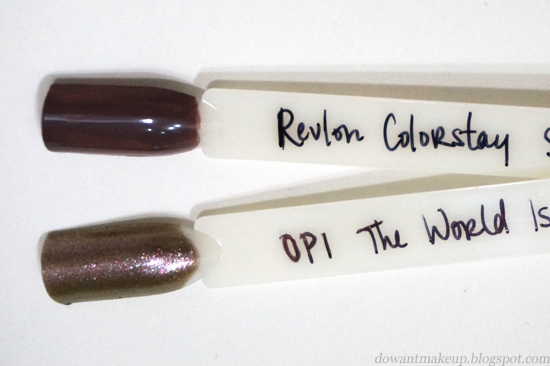 I can't wait to swatch them on my nails and share them soon. Did you order anything from the "3 Free" sale? Which polish are you most interested in seeing? One of the polishes from the James Bond Skyfall mini set, OPI The World Is Not Enough is a brown-leaning taupe that reminded me instantly of smoky topaz or quartz. There's also a surprising twist of very fine fuchsia and light green glitter. It seemed a bit sheer even with three coats when I first swatched it on a nail stick, so I chose to layer it over Revlon Colorstay in Stormy Night. The photo above shows the ring finger with three coats of The World Is Not Enough, and two coats layered on top of one coat Stormy Night on the other fingers. On the nail, I felt like the three coats of The World Is Not Enough is just barely opaque enough and I could have gone without a base colour though. You can see that the base of Stormy Night made it look much deeper and grayer, but I think the darker base helps the glitter stand out more. There's a foil-y quality to this polish that reminds me of the Orly Foil FX Collection I love, but unlike the Orly foils its sheerness makes it a bad pick for nail stamping. The super fine glitter is really difficult to capture on camera, but it makes the polish so much more interesting and unique. I really can't think of a polish like it. 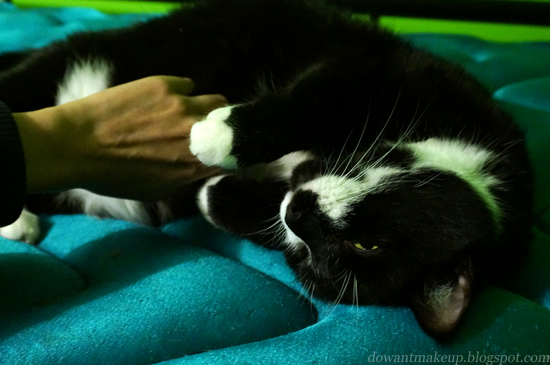 He is a super handsome tuxedo cat, and the most easygoing fella I've ever met. 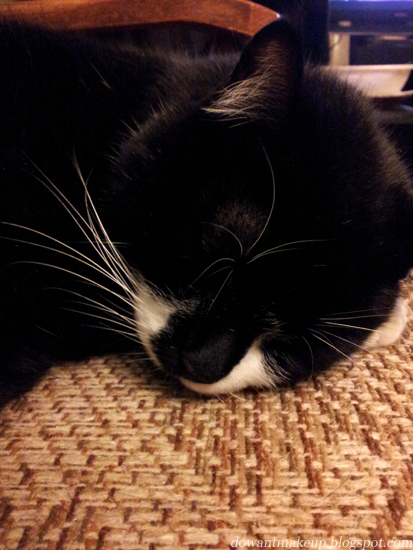 If I had a cat, I would want one just like him.